Apple has just launched the new iPad Air and iPad mini tablets, and it seems one of them may have already been tested on Geekbench. Apparently, the integrated A12 Bionic chip scored an incredibly high multi-core score of 11,607, putting it way beyond the reach of even the Qualcomm Snapdragon 855 or the Exynos 9820 variants of Samsung’s Galaxy S10+. As a recent report highlighted, it pays to be wary of product information and benchmarks that appear on Geekbench. A listing for an “iPad11,2” has now appeared on the benchmark website, which includes some very impressive single-core and multi-core scores: 4,806 for the former and 11,607 for the latter. It’s unclear which Apple device has been tested though, as both the new iPad Air and iPad mini tablets feature an A12 Bionic SoC. According to the information posted, the Apple device in question comes with 3 GB RAM, offers a base clock of 2.49 GHz, and it operates on iOS 12.2. Regardless of whether it’s an Air or a mini, the apparent scores show it to be a high-performance device. 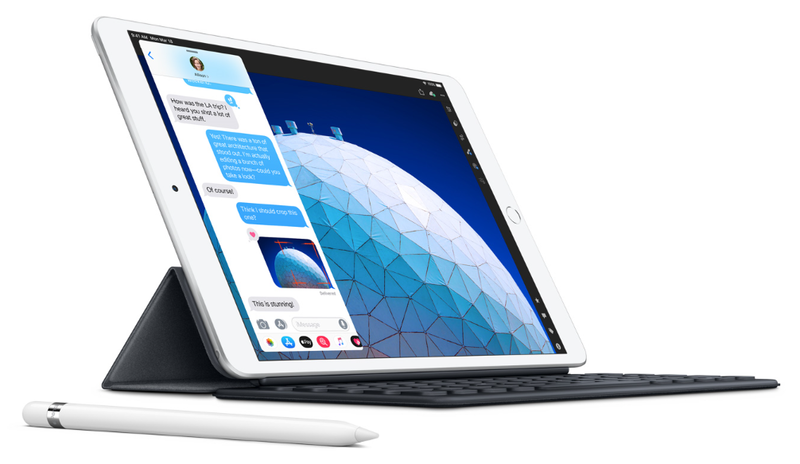 The single-core score puts the mysterious Apple iPad in third place in Geekbench’s iOS chart, behind the iPad Pro (11-inch) and iPad Pro (12.9-inch). Against the Android competition, the closest Samsung can get is 4,341 points with the Exynos 9820-powered Galaxy S10+. The “iPad11,2” also thrashes its Android rivals with its multi-core score. With 11,607 points, the device is once again third in the iOS chart behind the same two slates mentioned above. Nothing from the various high-scoring Android devices manufactured by Samsung, Huawei, or OnePlus can even come near that, with a score of 10,698 being the highest in the Android chart (SD 855 variant of the S10+). Whether the Geekbench listing is real or not doesn’t detract from the fact that Apple’s A12 Bionic chip and its superlative A12X variant are still the SoCs to beat. As the two devices are now officially available for purchase, accurate and verified benchmark results will soon be available. The new iPad mini costs from US$399 while the iPad Air starts at US$499.